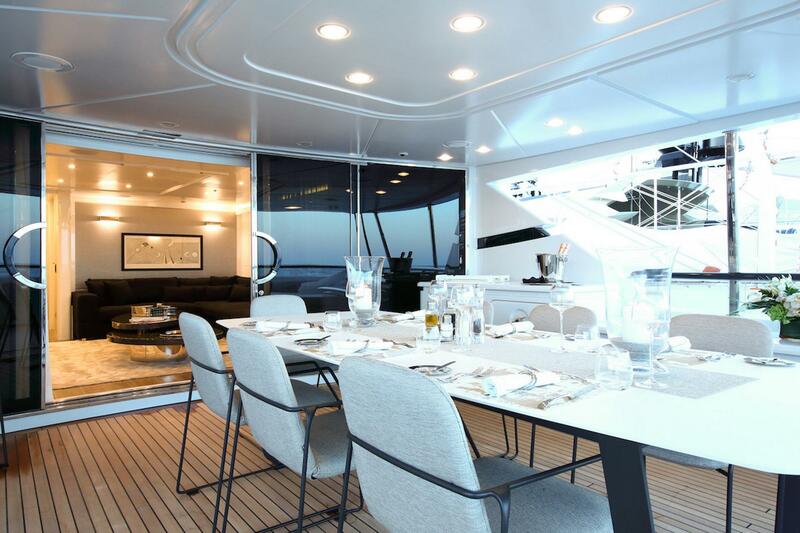 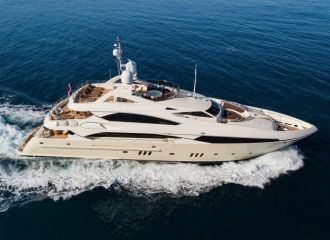 This Sanlorenzo 37m yacht is perfect for relaxation on your French Riviera yacht charter: large sunbathing areas, bar, barbecue, various options for seating and alfresco dining. 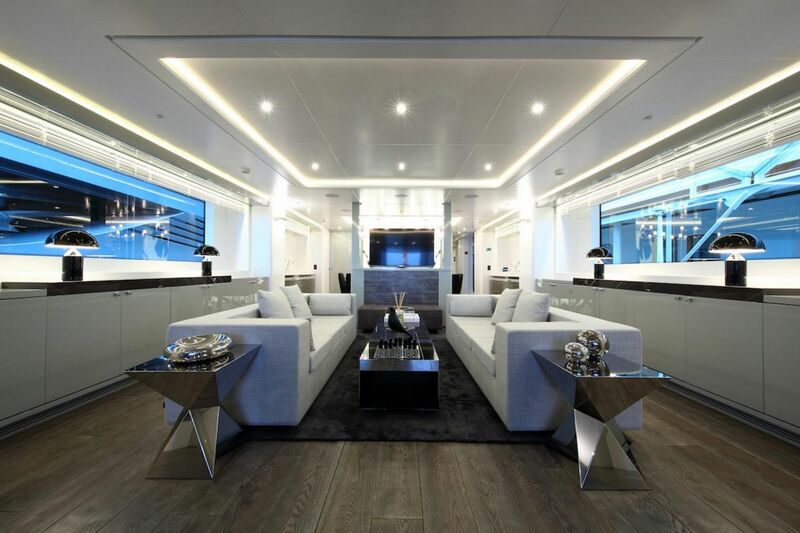 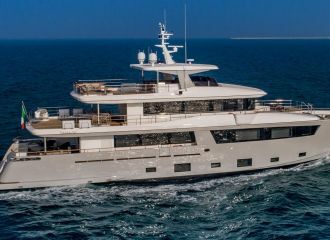 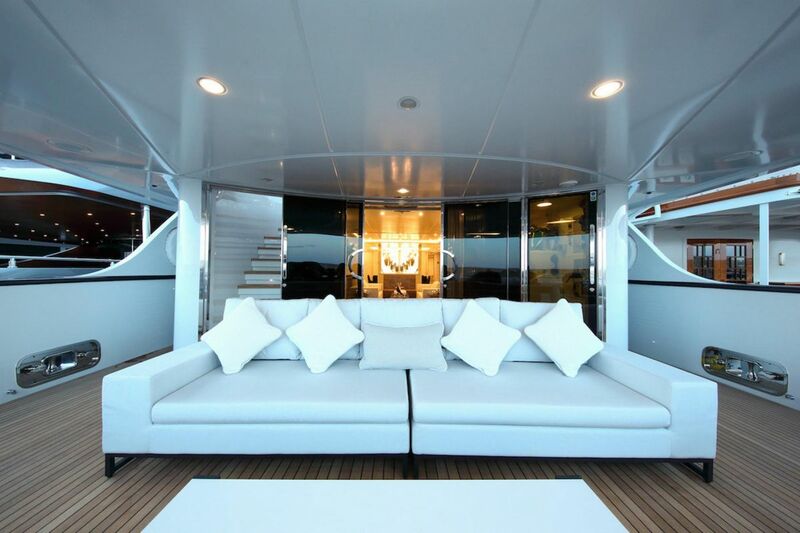 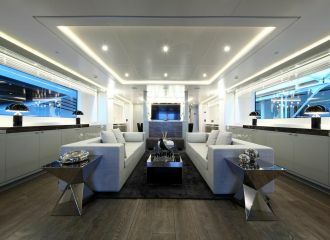 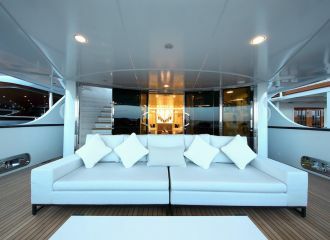 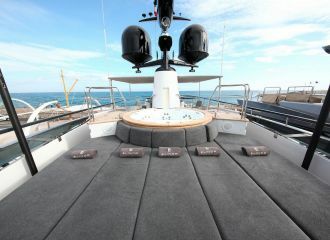 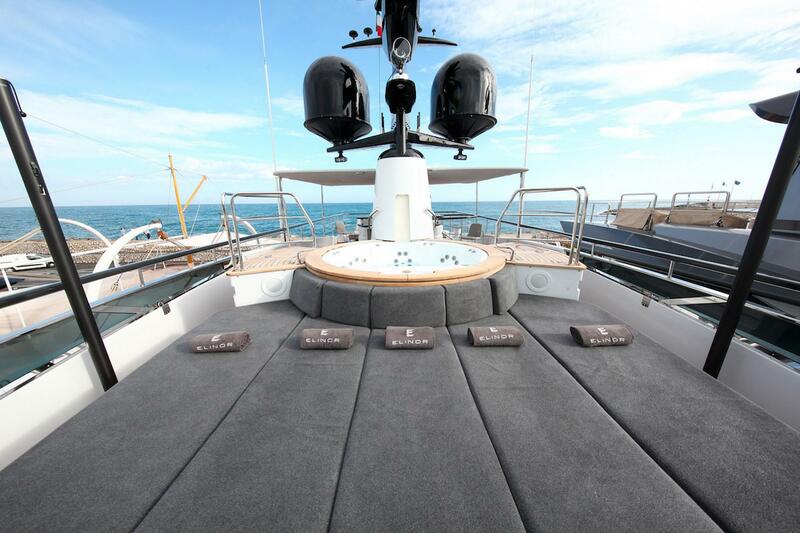 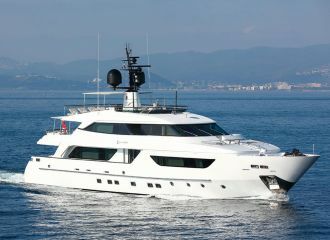 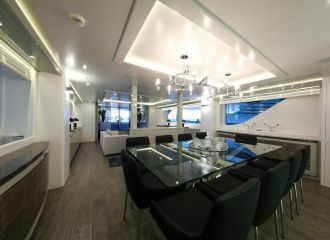 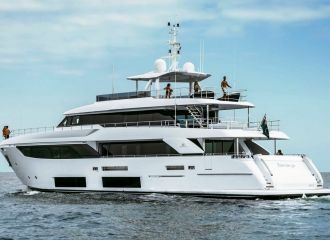 The yacht also features an enjoyable jacuzzi and a custom hard top for sun protection. 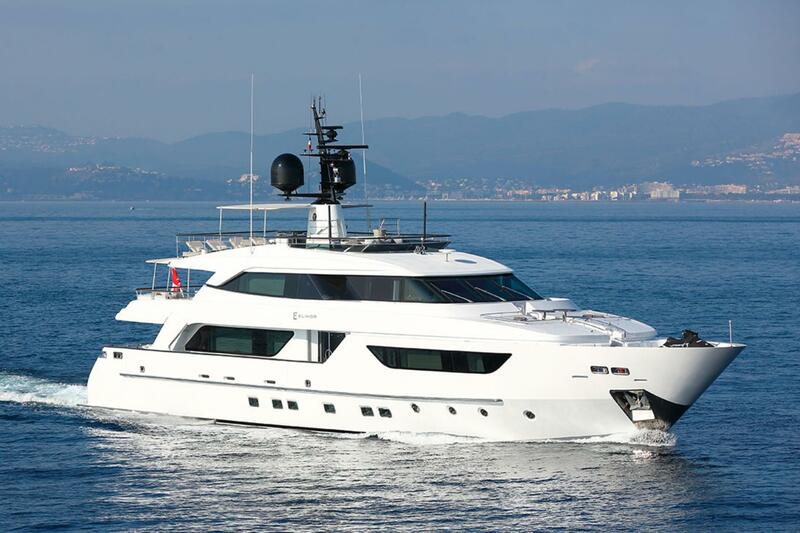 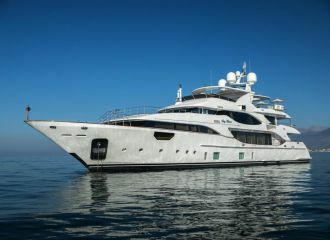 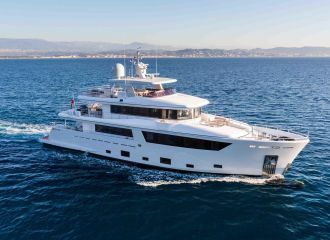 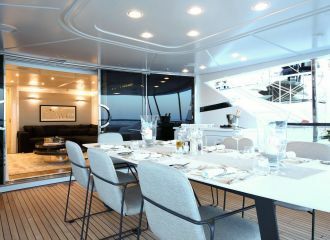 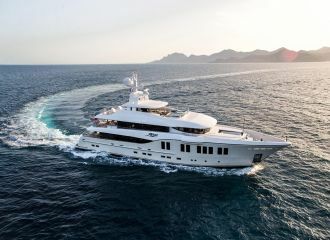 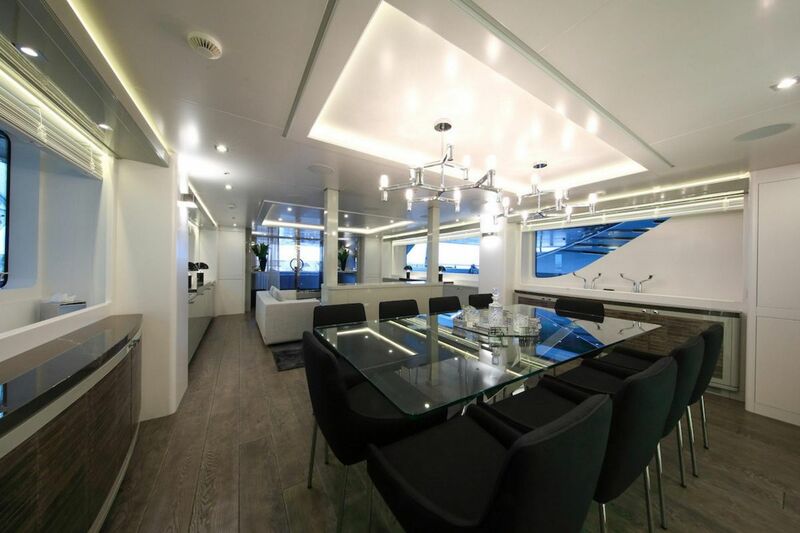 This Sanlorenzo 37m yacht is in perfect condition and offers comfortable accommodation for up to 10 guests in 5 cabins: 3 double and 2 twin, all en-suite. 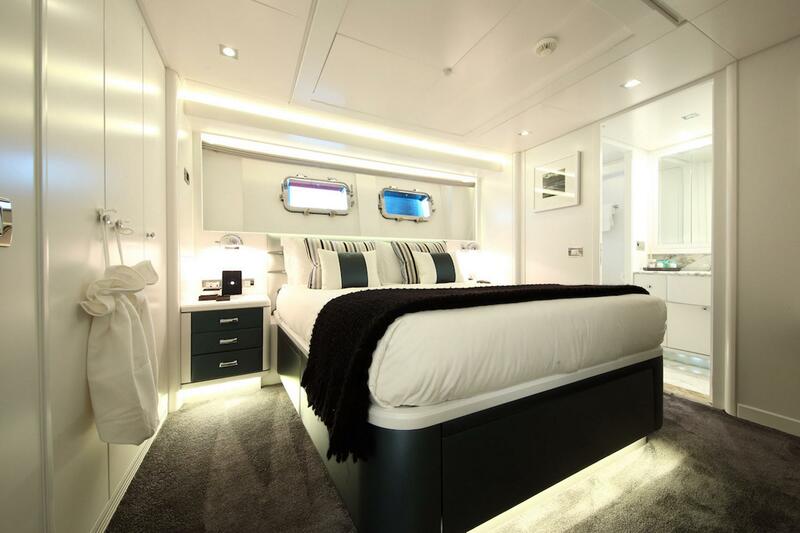 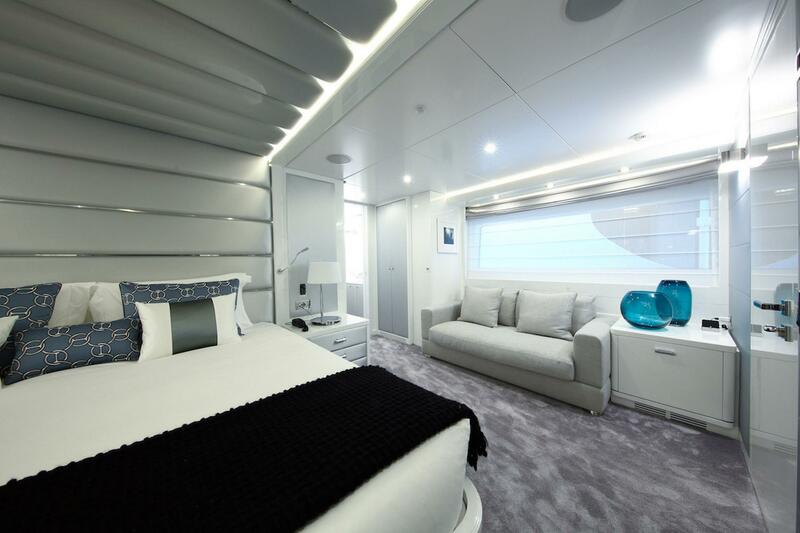 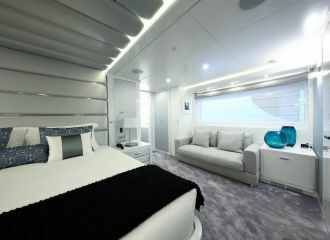 Pullman beds available in each twin cabin.